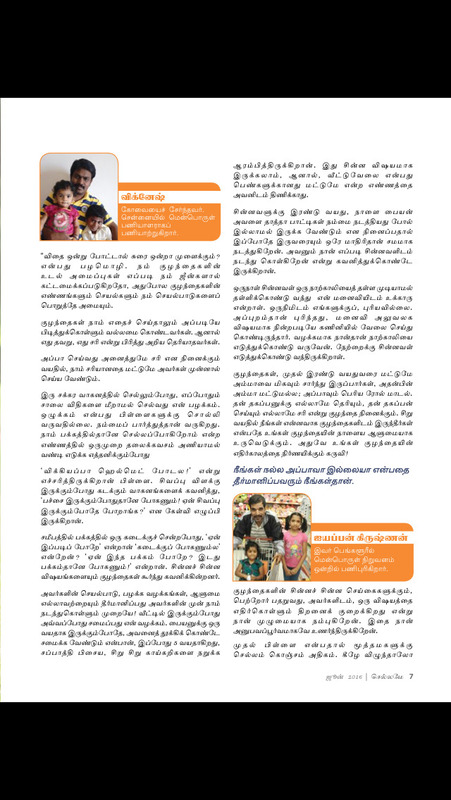 Chellamey is a monthly magazine built around the all-round development of the child. It clearly addresses the physical, emotional, intellectual and social needs of the child. Through well-researched articles, and contributions by experts and other parents, Chellamey shares information that supports parents in making informed decisions for their families and helps them feel confident about their parenting.